Facial bone contouring surgeries help in contouring the facial skeleton in a way that enhances the overall facial structure and appearance. This surgery alters the underlying bone, thus, helps in reshaping the face. Nowadays, people are indulging in both non-surgical and surgical cosmetic treatments. They are turning to innovative ways to improve facial imperfections, which is spurring the demand forfacial bone contouring surgeries. 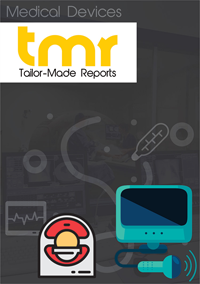 An upcoming report on the global facial bone contouring market could be a valuable source of information for major stakeholders in the market. The report offers a brilliant study of the market with a focus on market dynamics, segmentation, and geographical outreach. It could prove to be a useful guide for players wanting to cement their position in the global facial bone contouring market. Growing inclination for facial appeal, increasing number of cosmetic surgeries, and growing popularity of ‘celebrity culture’ are believed to be driving the global facial bone contouring market. American Academy of Facial Plastic and Reconstructive Surgery (AAFPRS) findsthat 64% of surgeons have experienced the increasing demand for facial bone contouring among people under the age of 30. Facial bone contouring also improves and repairs facial functionalities. Increasing case of cleft palate defects, rising medical tourism, and extensive use of social media are spreading awareness regarding the advantages of facial bone contouring. These factors are expected to propel the global facial bone contouring market. Furthermore, rising private expenditure on aesthetic procedures and increasing number of people opting for facial bone specific enhancements using clinical procedures are anticipated to boost the global facial bone contouring market. However, the complications such as bruising, hematoma, and swelling are related to facial bone contouring procedures. This, along with lack of certified medical professionals may hinder the growth in the global facial bone contouring market. Nonetheless, such deterrents may not impact the momentum expected in the global facial bone contouring market in the near term. At present, maxilla and mandible surgery is witnessing the maximum demand. Factors such as increasing popularity of v-shaped chin, and rising demand for celebrity lookalike facial features are believed to be fueling demand for maxilla and mandible surgery. This, in turn is expected to boost the overall global facial bone contouring market. Geographically, Latin America is expected to lead the global facial bone contouring market as the region witnesses maximum demand for facial improvement procedures. Other prominent regions in the global facial bone contouring market are APAC and the MEA. Increasing adoption of rhinoplasty surgeries by women could be responsible for propelling the global facial bone contouring market in these regions. Some of the prominent players operating in the global facial bone contouring market are Syneron Medical, Lumenis, MerzPharma, GmbH, Danaher Corporation and 3M Company.